Christmas Shopping List 2015: The Picture List! | The House of Martins The House of Martins: Christmas Shopping List 2015: The Picture List! Christmas Shopping List 2015: The Picture List! There is so much you can do with a picture. And now days, with all these sites connecting to Instagram - many of these gifts are super easy. 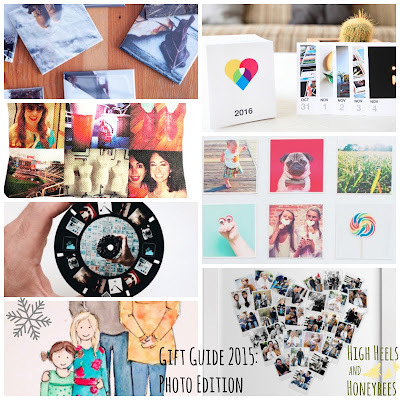 One of my favorite places to look for photo gifts made with Instagram images in Social Print Studio. They have some really cute gifts and at great price points. The square magnets are great - and you can get a set of 6 (3x3) for $15. For a bigger gift - the custom tear away calendar is a fun option. $40 but that includes 366 (its a leap year!) pictures. Stitchtagram has some unique photo gifts too! Use your instagram feed to make a pillow, tote bag, coin purse... Such fun items even a photo ottoman. :) The little coin purse is my favorite and affordable at $25. Sticky9 - formerly SitckyGram gives you a sheet of 9 magnets for $15. I love getting these for people as little surprises throughout the year - so an extra add-on at Christmas sounds good too! If you have never ordered from them - use my code to get 15% off your order: FRIEND6T85. If you're hip enough to own a viewfinder - put your Instagram photos on a reel - from Reelagram. There are non-Instagram related picture gifts out there too, of course. This one starts with a picture and ends up a work of art - which I think is AMAZING. A watercolor family picture would make a lovely present for grandparents too. Sites like Minted and Shutterfly are known for gift ideas from your pictures - and this Heart Snapshot Print from Minted is one of my favorites. I love the casual feel to it - but it is still a great way to display some of your favorite shots from the year.